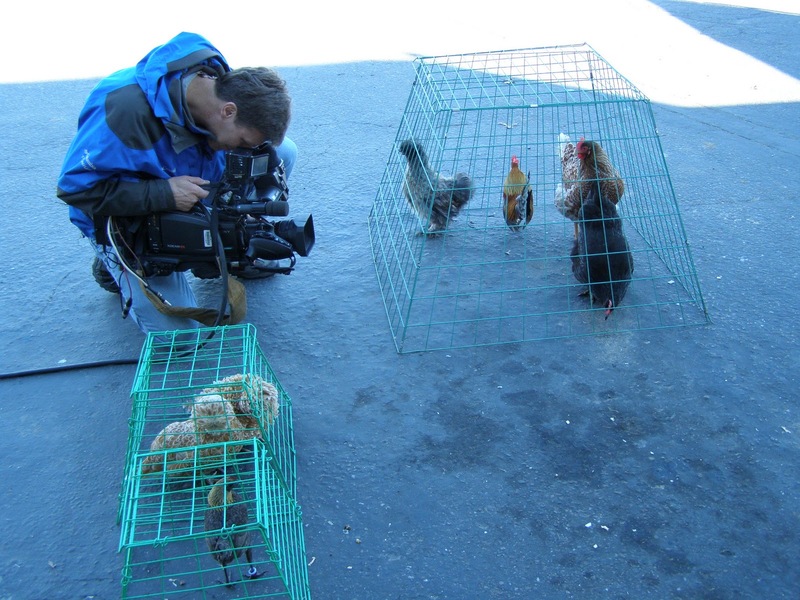 The Academy would be proud....or at least their "movie chickens" would be proud, haha! This morning I met with producer/reporter Ashley Williams and TV's Good Day Sacramento (CW31) in front of our local feed store (and meetup group sponsor), Robinson's Feed & Western Supply. Their news team was celebrating the annual Oscar awards and wanted to present some of our chickens on a "red carpet". I was too busy helping Ashley describe their fashionable feather-attire to talk about the consulting and poultry sitting side of things, but it was super fun! I will post the link to the segment/clip as soon as I receive it. In the mean-time, here are some pics! 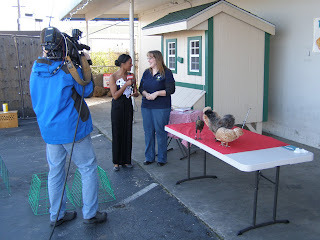 Huge THANKS to Good Day Sacramento!